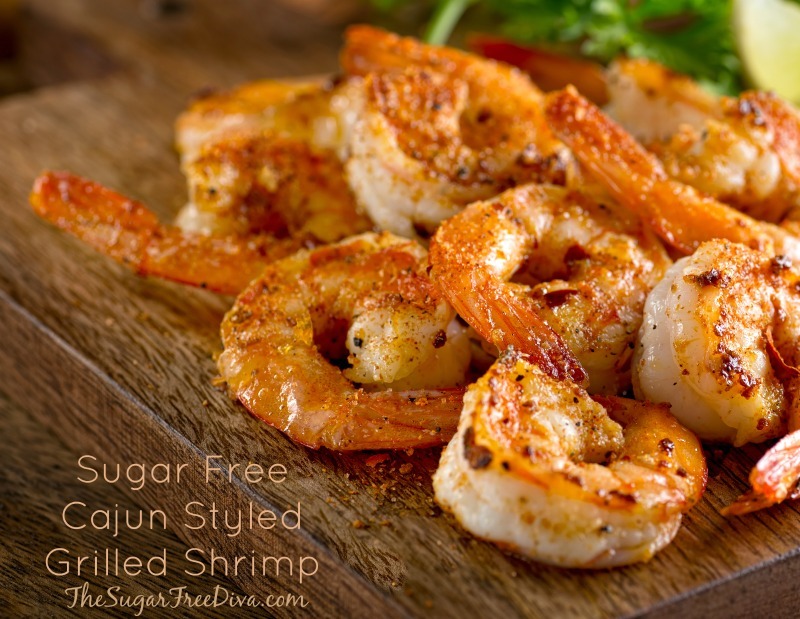 This Easy and Delicious Cajun Style Grilled Shrimp Recipe is an update to my Sugar Free Cajun Styled Grilled Shrimp Recipe. Both recipes are just as good however. Living in the Midwest, there is not a lot of Cajun anything going on here. However, shrimp is something that is served quite often. If you are familiar with the Cajun culture in the US then you probably already know that it can be traced to French settlers in Louisiana. The food is rich in flavor like no other. Cajun food is known for the prevalence of paprika, pepper, cayenne, garlic, and chili powder. There could also be other similar salts and seasonings mixed in. Cajun dishes, such as this one, are seasoned well. 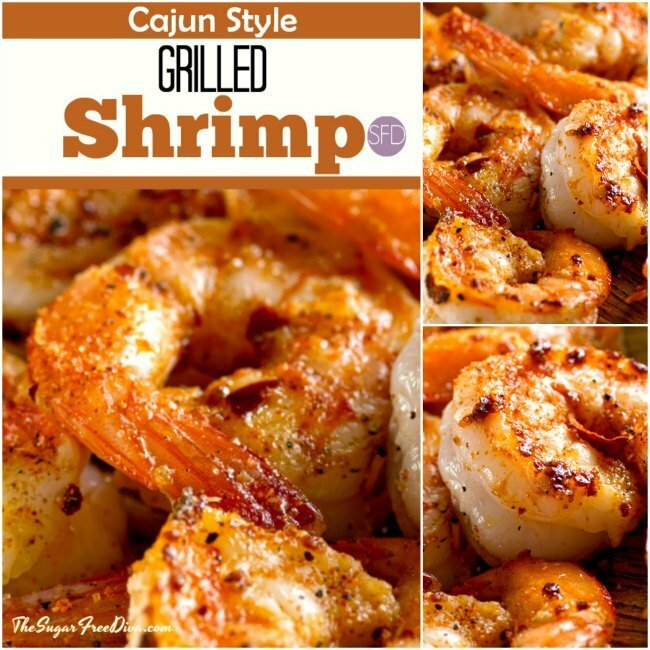 You can find a variety of Cajun seasonings online. You can also make your own by combining 6 parts of paprika to 4 parts of pepper to 2 parts of garlic powder, 2 parts onion powder and maybe a bit of salt or cayenne to taste. I find it easier to just buy the seasoning. Feeling the Grill thing? 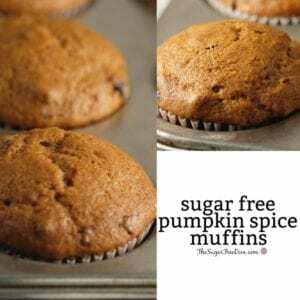 Here are some similar recipes that you may also like. Grilled Lemon Garlic Chicken Kabobs. Since this is a grilled recipe, I will be using skewers. You can find wooden skewers, that are relatively inexpensive, online. To use your skewers, be sure to soak them for about a half hour before you use them in this recipe. This will prevent your skewers from drying up or burning. Shrimp- 2 pounds uncooked, cleaned and deveined with tails on. You can remove the shells. Use large or jumbo shrimp for best results. Olive oil- 1/2 cup. Can use other oil- my preference is olive. Also, have additional oil available if needed to prep the grill for nonstick. Cajun Seasoning- 2 1/2 tablespoons. Also, see above for recipe or purchase your own cajun seasoning. Optional- melted butter or additional oil (1/2 cup) with 2 teaspoons of seasoning and 1 minced garlic clove for serving. 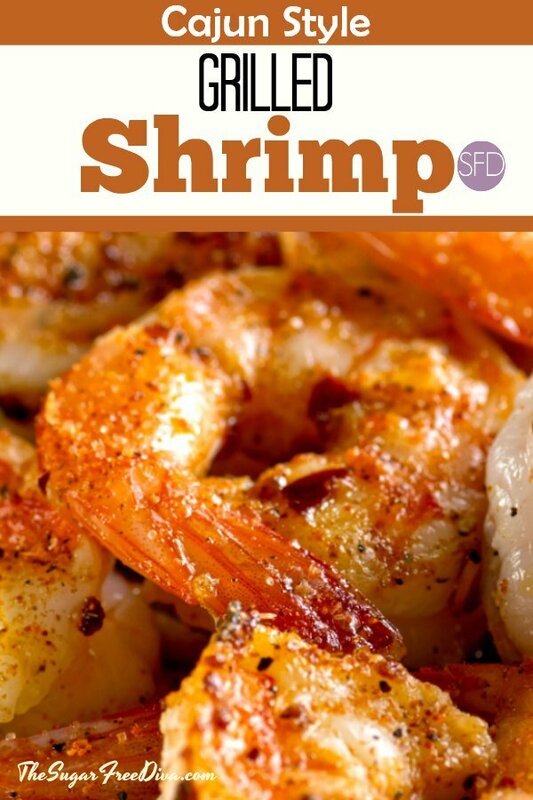 Start by cleaning your shrimp if it has not been prepared as of yet. Place the shrimp in a large zip top bag. You may need to split the shrimp into two bags if your bag is not large enough to hold all of the shrimp. You should fill the back 3/4 full at most. In a small to medium bowl, whisk together the olive oil, garlic, and Cajun seasoning. Pour the ingredients from the bowl over the shrimp and close the bag. Move the bag around to properly cover all of the shrimp with the contents from the bowl. 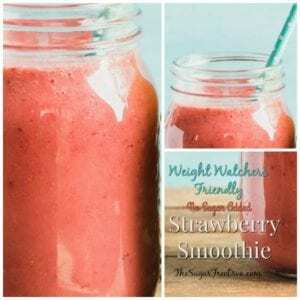 Then refrigerate this for at least 30 minutes. When you are ready to grill the shrimp. Be sure to soak your wooden skewers for 30 minutes. Prepare the grill for nonstick (I will brush with additional oil) and then heat it at a medium heat. Remove each shrimp from the bag and thread the skewer through the largest part of the shrimp. Grill the shrimp for about 3-4 minutes on each side or until the shrimp has turned pink. Serve with the optional melted butter or oil as described in the optional ingredients above. 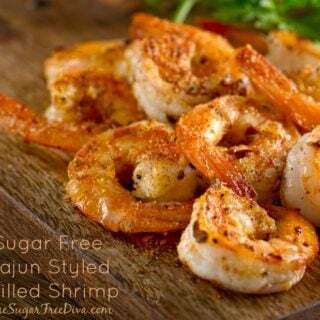 Cajun style shrimp recipe that has no added sugar. 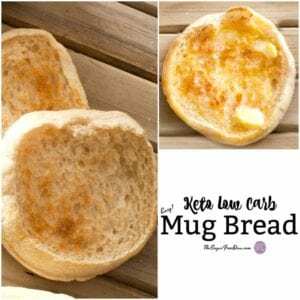 Easy to make on any kind of grill. Shrimp- 2 pounds uncooked cleaned and deveined with tails on. You can remove the shells. Use large or jumbo shrimp for best results. Olive oil- 1/2 cup. Can use other oil- my preference is olive. Also have additional oil available if needed to prep the grill for nonstick. Cajun Seasoning- 2 1/2 tablespoons. Also see above for recipe or purchase your own cajun seasoning. Optional- melted butter or additional oil 1/2 cup with 2 teaspoons of seasoning and 1 minced garlic clove for serving. Make sure that soy sauce has no added sugar- most do not. I love shrimp! Bookmarking this to give it a try! the paprika should put a nice touch.